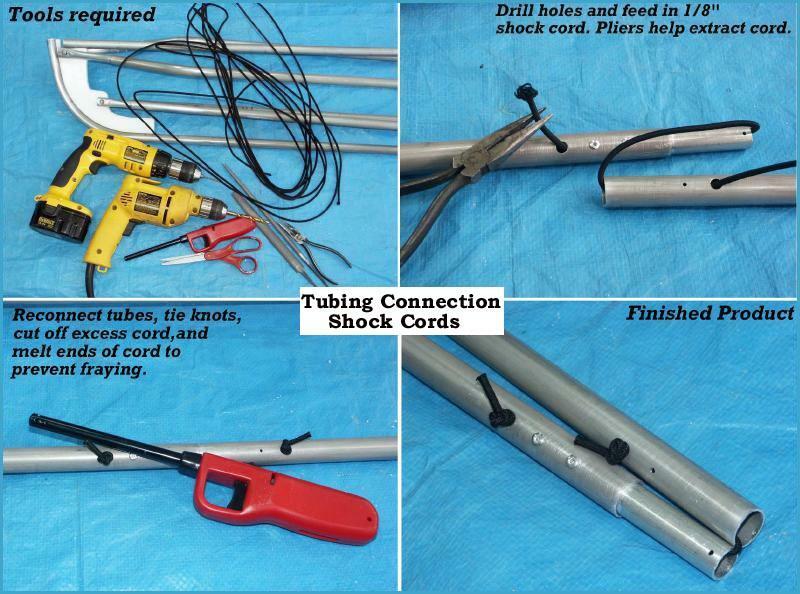 Shock Cord – Shock cords are attached at each tube section to keep the frame together during assembly and storage. It is very difficult to identify what tube fits where if the tubes are not attached with shock cord. The shock cord is not used as a means to strengthen or reinforce the frame.